Hearing loss can be a sensitive issue so it’s no wonder invisible hearing aids are more popular than ever. Dove Hearing stock an extensive range of invisible hearing aids to cater for all manner of hearing problems. We are a family run business based in Staffordshire and take great pride in finding the right hearing solutions for our customers. Whether you are looking for regular or invisible hearing aids our friendly consultants will find the right one for you. We are supplied by some of the world's leading hearing aid manufacturers including Siemens, Phonak, Widex, Resound plus many more to give you plenty of options when choosing invisible hearing aids. Invisible-in-canal hearing aids are 100% invisible when worn as the instrument sits deep in the canal ensuring sound travels with speed and accuracy to your eardrum. In addition, our range of completely in the canal hearing aids are the smallest invisible hearing aids available offering practically complete invisibility. 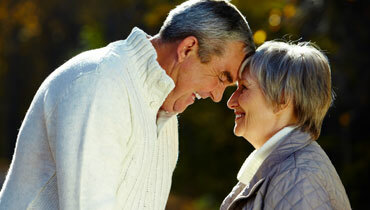 If you are worried about the comfort of invisible hearing aids you shouldn’t worry. People have consistently told us how happy they are with not only the “invisibility” aspects but also of the comfort. Many users report that their invisible hearing aids simply become integrated into their daily lives and hardly notice they are even wearing them. We are so confident you will love our invisible hearing aids that we offer a full money back guarantee on all purchases. And remember, you are more than welcome to come to any of our Staffordshire hearing centres for a free hearing test and expert consultation with one of our team. Alternatively, you can contact us online or via the phone. So, whatever your hearing problems, Dove Hearing can help.